Online Community Manager (OCM) is simply an interactive, multi-lingual website for community of properties (comunidades de propietarios), urbanizations or any block of flats. OCM users are basically home owners, presidents and administrators (administradores de Fincas). 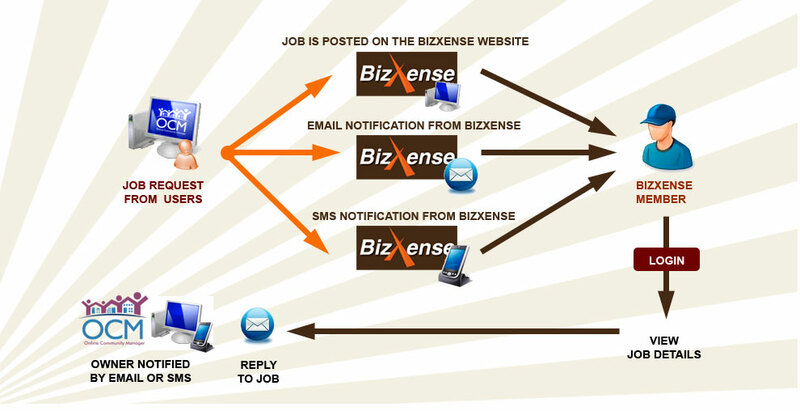 All users in OCM have access to a service page, where they can either search for a service provider in BizXense, or simple describe their problem and post it onto the BizXense website. As soon as the job is posted, you will be notified by email and SMS. Login to view the job, reply and if accepted you can get recommended to more neighbours and administrators. It is simple, cheap and above all effective.